Always and forever: not enough. 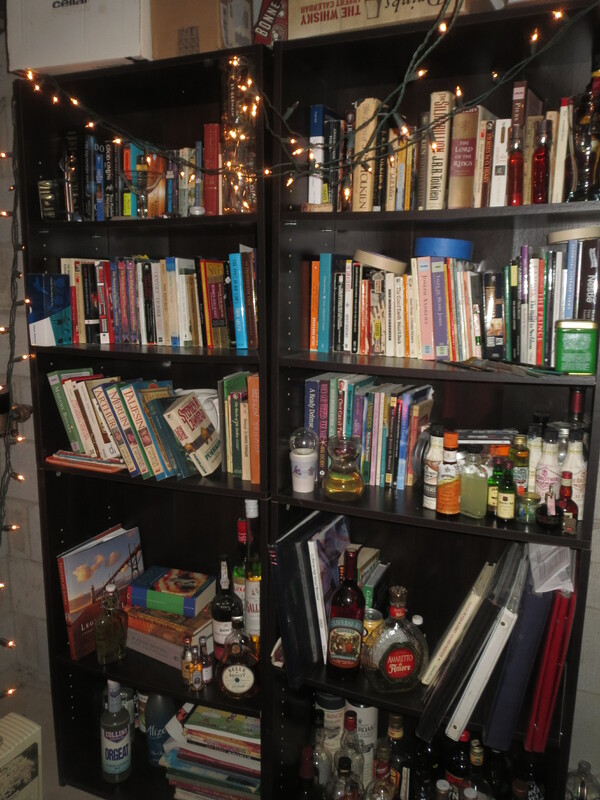 Admittedly, I have the bad habit of using my bookshelves for both books and for everything else; before taking these pictures, I cleared away 3 picture frames, 11 skeins of yarn, 2 candles, 4 maglites, and heaven knows what else. 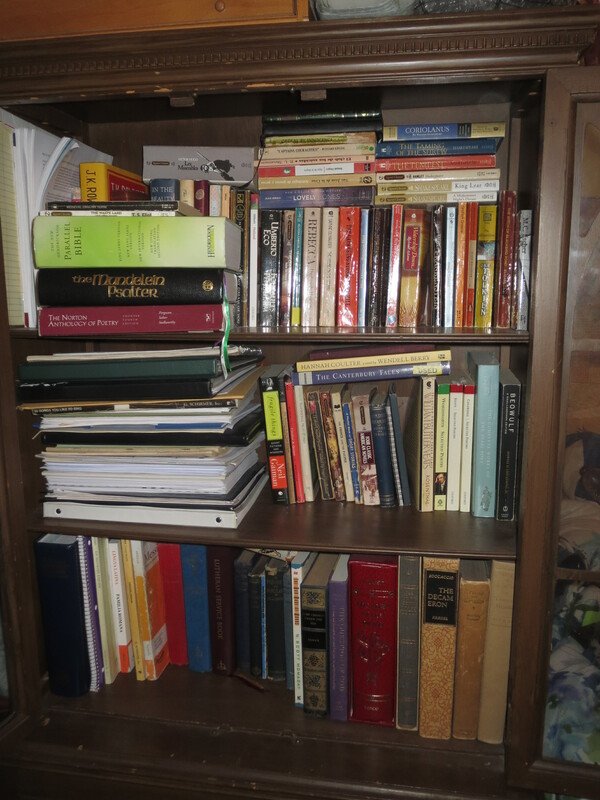 I also have some problems with placement; the three smaller bookcases are in my bedroom, while the two floor-to-ceiling bookcases have been relegated to the basement. That will change over the summer, but for the past year or so, those books have sat largely untouched by virtue of being further away. And speaking of things that are further away… well…there are still books of mine at my parents’ house. 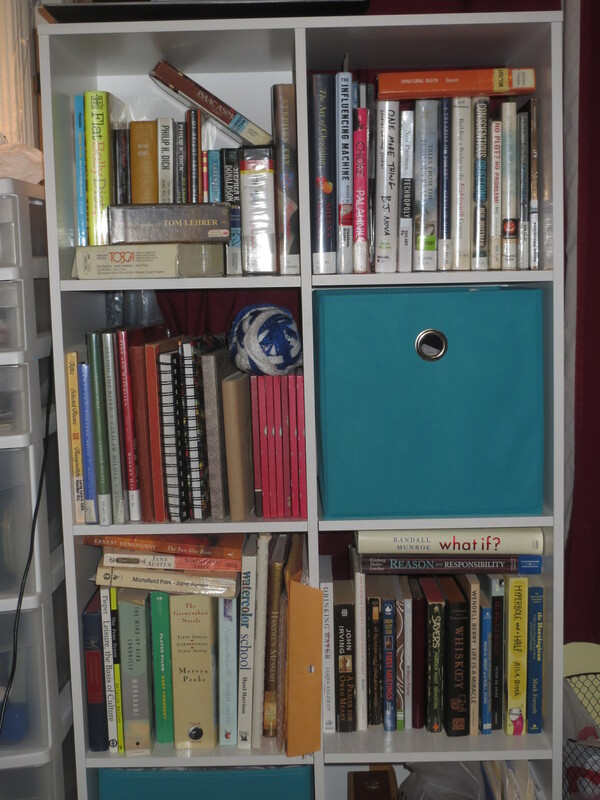 Two small bookcases’ worth. I’m hoping to take inventory over the summer. How many bookcases do you own? I might still get there! Dad’s always looking for new projects to work on, after all. Technically there are still 2 small bookcases of mine at Mum and Dad’s house. I’ve been debating whether to keep those or just give them and their contents to the Salvation Army. For your inventory efforts, allow me to suggest LibraryThing. I find it most useful.